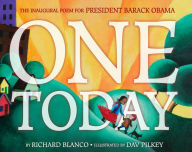 At President Obama’s second Inauguration in 2013, Richard Blanco debuted his poem “One Today,” a tribute to America which examines the beauty and heartbreak that are a universal part of the human experience. 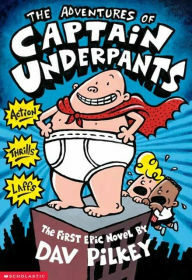 Around the same time, author and illustrator Dav Pilkey was working on new books for his Captain Underpants and Ricky Ricotta series. In what may seem at first like an unlikely collaboration, the two have crafted a beautiful picture book version of this unforgettable poem. The combination of Blanco’s poignant language with the touching visual world that Pilkey’s illustrations have created, make One Today a book that belongs on every child’s shelf. After reading it with my daughter, I just had to know more about the story behind how these two artists came to collaborate, what each hopes readers will take away from the book, and what we might see from them in the future. How did you two end up working together? It is quite a unique pairing, a poet and a children’s author and illustrator. Dav Pilkey: It was all our editor, Susan Rich’s idea. She loved Richard’s poem, and believed I would be a good fit as an illustrator. Susan and I had both worked together at Orchard Books in the early 1990’s when we were both starting our careers, and she remembered the painterly picture books I did back then (ie. The Paperboy, God Bless the Gargoyles, When Cats Dream). Richard Blanco: Susan Rich shared The Paperboy with me and I immediately fell in love with Dav’s work—so rich, lush, evocative. I knew in an instant he was the right artist for the poem. I was lucky enough to be among the million people standing on the National Mall to hear the poem’s debut, and it was a truly amazing day. Can you tell us how this went from a poem to a picture book? DP: Susan acquired the poem from Richard, and approached my agent, Amy Berkower. Amy agreed that Richard’s words and my paintings seemed like a good fit. I was a huge fan of this poem, but initially I felt I might not be the right person to illustrate these words which were so deeply personal to Richard. I felt like my background (basically a “Brady Bunch” kid from the Midwest) was too different from Richard’s background, and that my vision might not mesh well with Richard’s vision. I spent several weeks reading and re-reading Richard’s other poetry, and it was when I came across a poem he wrote about his grandmother that I began to believe that, perhaps Richard and I might be a good match after all. Even though our childhoods were very different, I think we both grew up feeling like misfits. And for some reason, this seemed like the key to creating images for this poem: America is filled with multitudes of people who may seem very different from one another, but there are still things that make us all the same. That idea made me want to paint this book. RB: In the poem that Dav mentions about my grandmother, she ridicules me for loving my cat because that wasn’t manly. And so, I love that Dav “gave me” a cat that follows me throughout the entire book! Indeed, Dav and I share a strong connection as “misfits” who turned to the arts as a way of making our way through life and the navigating our worlds. 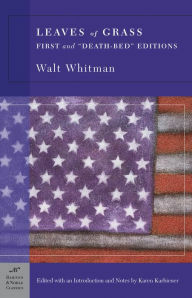 The longing to belong is apparent in our respective work, including the illustrations and the poem, “One Today,” which at its heart is about inviting all of us—the whole nation—to have a place at the table—to understand that each of us is an important part of the collective that is our country. What was it like to try to bring a visual element to the poem, especially one that was initially read on such a large scale? DP: I felt both intimidated and unnecessary. Intimidated because of the historical significance of the poem, and unnecessary because Richard’s poem was perfect just the way it was. It didn’t need illustrations, and I knew that adding my paintings to Richard’s words would make his poem into something different than he had intended. Fortunately, Richard was OK with that. It is my hope that the picture book One Today, even though it has become something new, still embodies the same message of hope and humanity that it did when it was first read in 2013. RB: Dav was very respectful of the poem, but I was more than “OK” with his illustrations—I was ecstatic! They added dimensions to the poem that my words could not do on their own. The poem came alive in a different way. And that’s truly what collaboration is all about: creating something that stands stronger together. While the text speaks of everyone, of the universal elements of life, the illustrations appear to follow a few people in the course of their day. What do you hope kids and their parents are able to take away from the book? DP: I hope that children will see the larger picture Richard has painted with his words. One Today isn’t just about America—it’s about humanity. RB: Indeed, although the poem was written in celebration of our nation, I think it also reaches beyond the occasion. That’s the power of poetry—and all the arts, really, which connects us to our common shared humanity—no matter the color of our skin, what language we speak, what gender we are, or what culture we are rooted in. You both have been open about the challenges you’ve faced. What would you like to say to those kids who maybe feel like they don’t fit in? DP: I always tell kids what my mom used to say to me when I was a kid—especially on days when my challenges seemed overwhelming. She used to say, “everything happens for a reason. Maybe something GOOD will come out of all of this”. I think her constant reminders to look for the good in ALL situations helped to shape the life I have today. RB: I would say to try and look at it as blessing. If you don’t fit in, that usually means there’s something truly unique, different, special about you. Just be patient…it will blossom in time and everything will make sense. What makes you odd today will someday be exactly what makes you great. Dav, the style in One Today seems to deviate from your other popular books, namely Captain Underpants; was it tough for you to step out of that mind set? Do you see more books like this, or The Paperboy, in your future? DP: I never intended to stop doing picture books. I hope there will be many more painterly picture books in my future. I’m so grateful to Richard and Susan Rich for giving me this opportunity, not just to paint again, but to be reminded of what I loved so much about this genre. In the ideal world, who else would you want to collaborate with? Any dream books you want to illustrate? Or visual artists you want to see interpret your writing? DP: In the “ideal world” and if we could turn back time, I would love to collaborate with Henry David Thoreau and Walt Whitman. Do either of you have something new in the works that we can look forward to? DP: Next year, I have a new graphic novel series debuting. It’s called Dog Man, about a police officer who has the head of a dog and the body of a human. He’s got all the raw materials to be a great cop, but he must constantly fight against his canine nature in order to be a better man. RB: I’m working on another collaboration with a photographer on the theme of borders—physical, imaginary, cultural, psychological, virtual borders. Or—looking at it another way—pulling about the narratives and fictions about borders and thinking about how the world is becoming borderless. When you are not writing, doing readings, or illustrating, what do you read just for fun? DP: I enjoy reading graphic novels, children’s books and autobiographies. 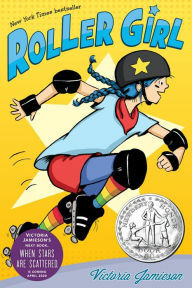 I just finished Roller Girl by Victoria Jamieson, and Richard Blanco’s autobiography, The Prince of Los Cocuyos. Both books are fantastic, beautiful, and inspiring. If you’re looking for something hilarious, I highly recommend Kirk Scrogg’s new series, Snoop Troop. RB: I love taking long walks with my dog, Joey. Or lounging around with my cat, Sammy! But I love reading, too, especially books about science and psychology. I find they inspire my poetry in unique ways. One Today is on bookshelves now. Originally published at www.barnesandnoble.com on January 5, 2016.